Home > In the Media > [Video] So Here’s the New Trailer for the Nina Simone Movie Starring Zoe Saldana…. 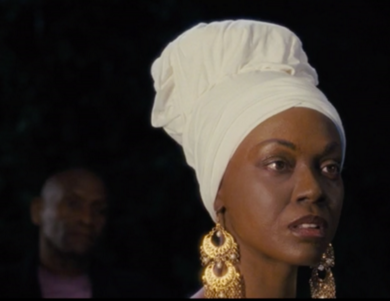 Yeah….so…the first trailer has been released for the much-delayed Nina Simone movie starring Zoe Saldana as Nina. The film is based loosely on Nina Simone’s life, and was directed by Cynthia Mort. It’s no secret that controversy has surrounded the movie ever since Zoe Saldana was announced as the actress who would play the iconic songstress, musician and civil rights activist. Given that the movie was actually being filmed in 2012, I thought plans for the project had been scrapped since there has not been much conversation. But alas, Nina will be making it’s way to a theater near you and video on demand April 22nd…. There’s a lot we could say, but what are your thoughts? Watch the trailer below.